With 44.7% of marketers creating between two and five pieces of content each week, it is more difficult to get your messaging to stand out and connect with an audience. To compete with the increasing amounts of content shared every day, invest in content formats that aren’t as widely used like music. Unlike white papers or podcasts for example, music is a universal medium that most consumers enjoy and that your company can use to reach them more deeply. I recentely interviewed Shannon Byrne, a marketer, content creator, music enthusiast and the founder and chief curator of A Song A Day, about how businesses of all sizes can add music to their overall content marketing mix. A Song A Day is a free music curation service, done by real people, where users receive a new song in their inbox from the genre of their choice every weekday. As a music lover and passionate marketer, Byrne applied her expertise to start A Song A Day with her own time and money, the help of volunteer curators and a successful Indiegogo campaign. 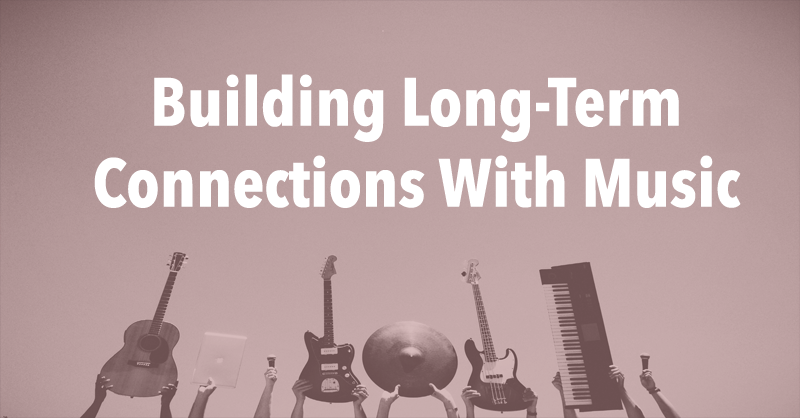 Learn from Byrne’s experience with both marketing and the music world to inform how an organization should integrate music into their approach to content marketing. 1. How can a brand start using music as a form of content marketing? Because people have such a deep and complex relationship with it, using music as a form of content marketing offers brands a unique and meaningful way to connect with its audiences beyond just words or images. Brands have several options for how they start using music as a form of content marketing. One option is themed and highly-curated playlists shared on a blog, social media, or in a newsletter. Music is also a powerful tool used in videos and podcasts that says a lot about a brand. The music you choose for any format will have an impact on your audience’s experience. They’re likely to have an emotional response to it, making that experience more memorable than other brands. A lightweight way to start is by curating playlists for company milestones, parties, or official and unofficial holidays (hello national donut day!) and share them on your blog and social media. You can create a playlist for almost anything. I’ve seen election-themed playlists, road trip playlists (great for a travel or auto company), playlists for writing, coding, working out (for health and wellness companies), etc. A recruiter could create a playlist for getting amped up before an interview, for example. There are so many options. You just have to get creative and have some fun with it! To create them, get your team or community involved. They’ll appreciate the break in their day to contribute to something fun! 2. What considerations are essential to keep in mind when choosing the right music for your brand that resonates with your audience? As with any content marketing, it’s important to understand your audience’s interests. Do some cyber stalking. Take a sample set of your customers and check out their social media accounts or if they have them, Last.fm, Spotify or Soundcloud profiles to see what type of music they like. Better yet, ask them! Of course, this won’t be representative of your entire customer base, but it’s a great starting point. Other considerations include the timelines of the music you choose (like the themed examples above), emotions it provokes, nostalgic qualities, etc. When selecting music to use, think about how you want your audience to feel. Most importantly, choose music that represents your brand’s personality whether that’s light and fun, energetic, thoughtful and empathetic, intelligent, nerdy, trendy, etc. I personally think it’s fine to be edgy. For example, my audience knows that I curse so I don’t hesitate sharing music with profanity. That’s just who I am but that’s not for everyone or every brand. It’s also important to be considerate of people’s feelings. Be cautious to choose music that won’t offend people. This can be difficult because a lot of the best music out there is political. You just have to decide what you’re willing to support and represent in your marketing. Finally, I think partnering with “influencers” (whatever that means for your brand) on playlists can have a big impact. Ask a trendsetter in your industry to curate a playlist for your brand. That way, you’ll have greater reach when they share it, as people take great pride in their playlists. And, your audience will likely be much more interested in the content. 3. Which platforms are best for sharing a company’s music-focused content with their audience and why? 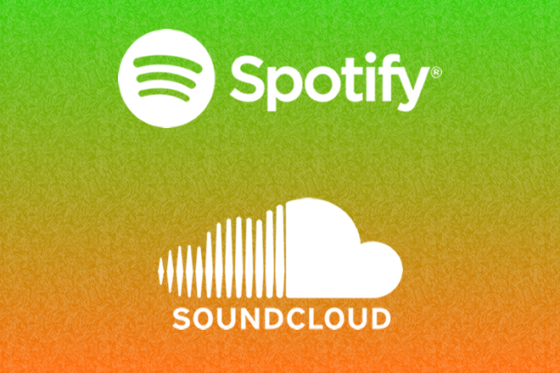 Spotify and Soundcloud both have a social component. You can encourage your customers and community to follow you and subscribe to your playlists to be informed when you add new music. They’re also very easy to embed on blogs and share on social with in-feed play. Cymbal.fm, which is like Instagram for music, also offers a unique and fun platform for brands to share music and interact with their audience. The community has grown a ton over the past year which has been cool to watch. But they’ve also done a great job at maintaining quality interactions, which isn’t always easy in tech. For distribution, the best channels or platforms are the ones your audience is already on. If you have a huge email subscriber base, share your playlists in your newsletters. Are you more active on Instagram? Create or curate awesome images, write an engaging description and link to your playlist in your bio. Facebook and Twitter are probably the low-hanging fruit as it’s easier to click through. The downside with those two, though, is that it’s also easier to get lost in the noise. I’ve become a fan of the small budget paid ads just to give content an initial boost in engagement, then pause them once people start engaging with your content. Just remember, we officially live in a mobile-first society. Keep your accompanying content short, your images captivating, and make sure the links to your playlists work so that they’ll open in the appropriate app, like Spotify or Soundcloud. 4. How would you suggest an organization measure the success of content marketing with music? This is a great and challenging question. Your most tangible metrics will be plays or downloads, playlist subscribers, and account/profile follows. That last one is a true measure of brand awareness and engagement. If you’ve interested people enough to stay informed of future content, you’ve been successful. Beyond that, it really depends on your goals. Why are you sharing music in the first place? If you’re trying to gain awareness and grab the attention of a broader audience, then you want to track traffic to your site. If you’re trying to connect with your existing audience, then you care about return visits or app activation. However, it’s difficult to track the success of these more specific metrics. You can link to your site from Soundcloud or Bandcamp, but not Spotify or Tidal. That’s why it’s best to consider music a community-building and engagement tool. Use music to draw attention to your social media channels and demonstrate your brand’s personality rather than try to drive conversions with it. Pay attention to plays, likes, shares, comments, and subscriber growth. 5. What are some specific examples of companies adding music to their content strategy successfully? Using music to create an awesome experience as a retail or brick and mortar store is a pretty obvious win but when you combine it with your digital marketing efforts, that’s gold. Warby Parker recently dipped their toe in this concept, sharing a playlist they created for the recent opening of their new Grand Central store. A lot of food and lifestyle-related brands have created playlists for cooking, like Greatist. Almost every surf, skate and action brand does an incredible job at adding music to their content strategy. Swell (an ecommerce company) partners with brands whose products they sell to create weekend playlists they share on their blog. I also consider events a form of content marketing. Vans, for example, has concerts at their Brooklyn and London House of Vans locations. Converse has music studios called Rubber Tracks around the world that allow emerging artists to apply for free recording time. Red Bull curates intimate, branded concerts called Red Bull Sound Selects around the world at unique venues. Volcom recently partnered with Sound on Sound Fest in Austin to create a unique experience for will call pick up, of all things. Hotels and air travel companies also use music in their marketing all the time but usually for more expensive, giveaway ads. 6. What balance should brands strike when creating their own music-focused content versus partnering with existing players like musicians, record labels and music platforms? I honestly don’t know. I do know that brands spent an estimated $1.4 billion on music partnerships in 2015 though. Personally, I’d suggest partnering up with emerging artists and small, independent labels. They may not have the massive reach the Biebs or Bey does but if they’re relevant to your audience, everyone wins. If you’re looking for music to feature in your marketing or you’re a person excited about finding new and noteworthy songs to listen to, sign up for A Song A Day to get a song sent to your inbox once a day Monday through Friday for free.